THE Habaneras Shopping Centre, managed by CBRE, and its cafés and restaurants, are inviting everyone to come along on Sundays with a programme of fun family activities, adding to the available services for an enjoyable customer experience. The initiative complies with the new trading regulations, so other shops in the centre will still be closed on some Sundays and on public holidays until Easter. 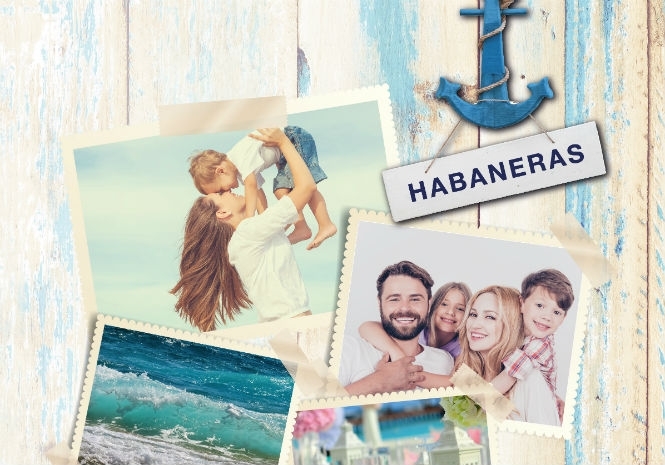 Habaneras is launching this programme with the slogan “Family Sundays at Habaneras”, identified on social networks with the hashtags: #FamilySundays and #HabanerasSundays. There will be recycling workshops and a city vegetable garden at the shopping centre from 12 noon to 3 pm, with games, competitions and crafts for children to learn to recycle by playing, with some help from the grown-ups. Participants will make plant pots with recycled materials and plant seeds to contribute to the shopping centre’s vegetable garden. From noon until 6 pm, visitors will have a free Nanny service available with professional childcare for children and toddlers. Another attraction will be free zip lining on Sundays and public holidays from 4.30 pm to 20.30 pm. There will also be salsa and bachata dance classes. These will be available from 5 pm to 6 pm on Sundays only. To encourage adults to bring their kids, as well as the classes there will be a free Nanny service so that all members of the family can enjoy the activities laid on just for them. What’s more, the LED screen by the catering kiosks on the top floor of the shopping centre will show a wide variety of sports events for all audiences. Alongside, there’s a play park staffed by a nanny from noon to 4 pm, where your kids can have fun and play at Habaneras. Lastly, to provide support to these services, Customer Services will also open on Sundays, from 11.30 am to 8.30 pm. With all these activities every Sunday from noon to 8.30 pm, family fun is guaranteed at Habaneras.